Williams Bay Lutheran Church has been blessed with a new set of 3 octave Malmark Handbells to enhance our Music Ministry. 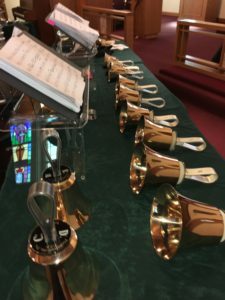 The Handbell Choir usually shares their music on the 3rd Sunday of the month (Sept. – May) at our 9:30 AM Worship Service. The Handbell Choir also rings in our annual Christmas Cantata. This year we are working on putting together a concert that will be presented at our San Jose Mission Church in Beloit & possibly another local ELCA church in our area. Watch our webside for further details regarding the dates & locations of these upcoming concerts. Our Handbell Choir meets for rehearsal in the sanctuary several Wednesdays of the month at 7:00 PM. We still have room for more ringers. If interested, please contact Carol Berndt, Handbell Director for further information. Chancel Choir is open to anyone high school age and older. The Chancel Choir usually sings for our 9:30 AM Worship Service on the 1st & 2nd Sundays of the month (Sept. – May) & some special services. We sing a variety of styles of music including traditional, gospel, contemporary just to name a few. Each year at Christmas time we go caroling to our local care facilities as well as some of our homebound members, which is very important to us. 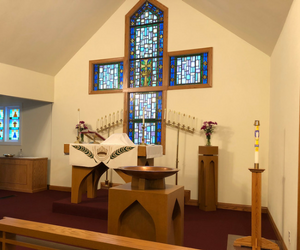 The Chancel Choir meets in the sanctuary for rehearsal on one or two Wednesday evenings of the month at 7:00 PM. We can always use more singers to come and join us. If interested, please contact Carol Berndt, Choir Director for further information. For the past several years Williams Bay Lutheran Church has been presenting an intergenerational Christmas Cantata in December that has included a special Christmas Cantata Choir, Handbell Choir, Sunday School Children in costume, keyboard & sometimes other instruments. It is a great way to tell the story of Jesus’ birth and get everyone in the “Christmas spirit”. Rehearsals are usually during part of October & November on Wednesday evenings at 6:00 PM in the sanctuary with a dress rehearsal the Wednesday before the presentation, which is during the 9:30 AM Worship Service on the 2nd or 3rd Sunday of December. Please come and join us for this intergenerational music ministry. For further details on our next Christmas Cantata, please contact Carol Berndt, Music Director. 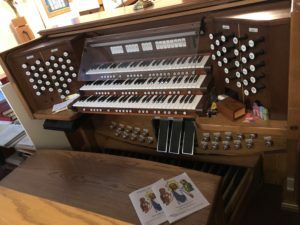 There are opportunities to provide special music for our 8:00 AM or 9:30 AM Worship Services throughout the year, especially on the 4th Sundays of the month when our Chancel Choir & Handbell Choir are not sharing their music. Summertime is also a great opportunity for special music which can be vocal or instrumental. Be creative, make a joyful noise to our Lord, have fun. If you would like to be a part of our Music Ministry in this way, please contact Carol Berndt, Music Director, for scheduling or assistance if needed.